At Quarry Rise Dental Centre we think that we will be able to provide a concerted approach to patient care if we are all working towards the same aim. Our philosophy is really quite simple, we aim to provide good quality dental treatment in a pain free manner.  We at Quarry Rise Dental Centre are a committed team of dentists, hygienists and nurses dedicated to providing high quality dental care to our patients in a relaxed and friendly atmosphere. Whether you are looking for a simple check up or to improve your smile through cosmetic dentistry and tooth whitening, we are here to help you with all your needs. Your initial consultation is an extended appointment time to enable us to carry out a full dental examination and oral health check, along with any clinically necessary x-rays all included in your consultation fee. Our dentists will then discuss with you our clinical findings and prepare a treatment plan in line with your wishes along with a cost estimate for this treatment. Friendly Service, always seen to very quickly, superb service and advice. Dentist is very experienced, exudes confidence and puts you at your ease. Always explains everything in simple language and does not pressurise you in any way. The best dentist, they are thorough, polite and absolutely painless. Everything a modern dentist should be.